You go to the gas station, put in your credit card, start to fill up the tank, and immediately look away from the pump. You talk with folks near you. Fiddle with your keys. Sing. Work out the lyrics from “Someone Saved My Life Tonight“. ANYTHING to keep from letting the cost of today’s tank of gas to actually soak into your consciousness!! ………OK, maybe not just like me…. But: I’ll bet you’d like to pay less for gas, or at least feel better about WHY you’re paying so much, right? Wouldn’t you like to hear about the current energy situation from an industry expert, rather than from a beat reporter or (worse) a news anchor, whose only energy experience is buying extra Rayovacs on their way home? 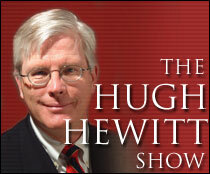 Hugh Hewitt** currently has a special guest-blog on his website right now which addresses ENERGY. 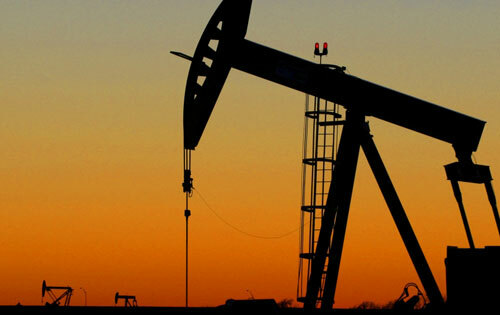 The author is Tim Dunn, CEO of CrownQuest Operating, one of the top oil producers in Texas. Energy is to the economy what food is to a human. You can’t get much more basic than the need to eat. Energy provides the ability for humans to accomplish many times more than their own physical efforts. It is energy that drives the machines that allows an American to be many times more productive than workers in non-industrial economies, from tractors to computers. The US economy needs Calories to burn for the same reason the human body needs Calories to burn: to accomplish work and activity, to generate heat and support life. Impoverished people do not have sufficient Calories from food, so they suffer a lack of energy to work and might even die. So what is the outlook for “food” for our economy? Are we headed for a subsistence diet of gruel and bread crust, or will we continue to eat beef and potatoes? I would say “It depends.” It depends on a number of factors. But what I believe it depends on most is the political choices Americans make over the next dozen or so years. And the primary question is “Who decides?” Who will make energy choices for Americans? If we decide as a country that policy experts in Washington DC should make decisions about energy, then I predict the bureaucracy economy in DC will be very fat and powerful, and the rest of the economy will get very thin and weak. On the other hand, if we are able to retain our heritage of self-governance, and allow individual Americans to make their own choices in a free marketplace of ideas, businesses and consumer choices, then I think we will have a fit and prosperous economy for the indefinite future. And, of course, the bureaucrat economy will have to go on a diet. **Bias Note: My wife and I have both been big Hugh Hewitt fans for years now. Host of a VERY entertaining radio show from California, Hewitt is also a practicing lawyer, a law professor at Chapman University, and a rabid Cleveland Browns fan (I try to not hold that last one against him). He also worked for almost 6 years in the Reagan administration. If you’ve never heard him, check him out.